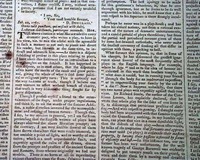 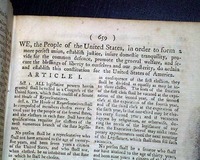 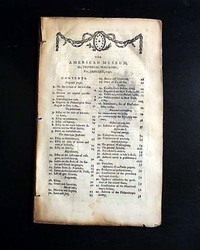 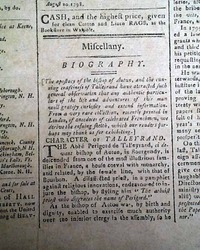 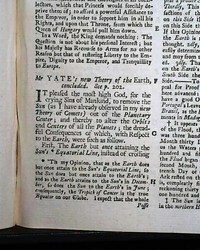 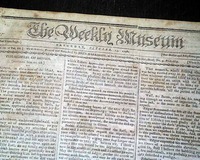 THE WEEKLY MUSEUM, New York, June 9, 1798 Pages 1 & 2 have literary content and pg. 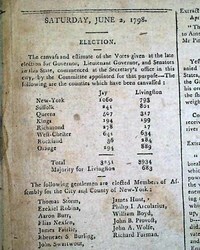 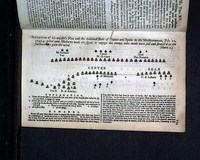 3 includes a chart of the: "Election for Governor". 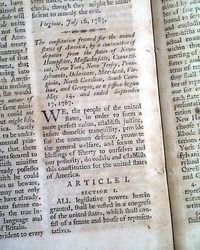 Also: "Depredations of Our Commerce" & a few other items. 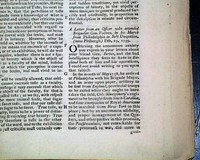 Four pages, various foxing, 9 1/2 by 11 3/4 inches, good condition. 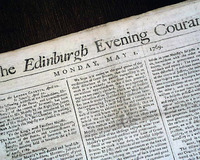 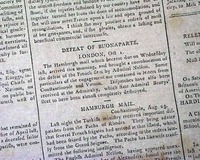 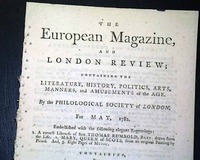 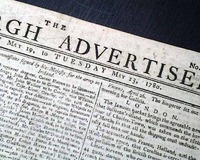 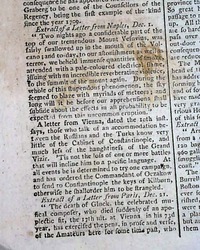 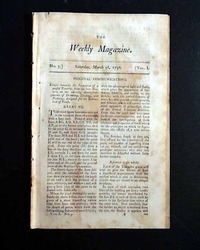 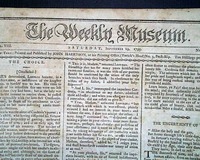 THE WEEKLY MUSEUM, New York, May 13, 1797 Although it does have some news of the day this is primarily a literary paper. 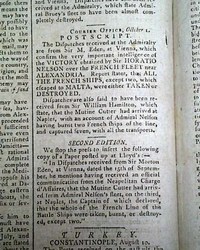 The front page has; "The Dangers of Delay" and inside has: "Summary of Foreign Intelligence" along with reports datelined from Kingston, Jamaica, Charleston, New Providence, and Richmond. 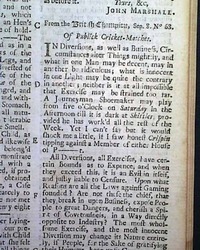 Four pages, 9 1/2 by 12 inches, generally good. 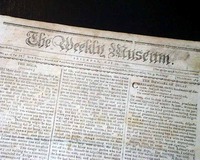 THE WEEKLY MUSEUM, New York, Nov. 12, 1796 Although mostly literary item, page 3 is mostly taken up with news reports, including a black-bordered report of the death of Helena Barclay. 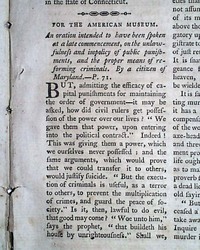 Four pages, 9 1/2 by 12 inches, very nice condition. 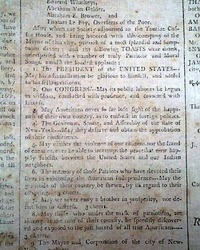 THE WEEKLY MUSEUM, New York, Jan. 9, 1796 Page 3 has a report from the Society of Mechanics & Tradesmen of New York which includes a list of 15 toasts, beginning with one for the President (see). 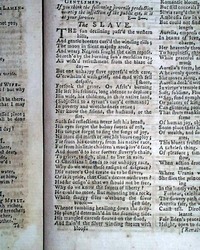 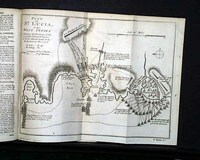 Four pages, 9 3/4 by 12 inches, bit of foxing, nice condition. 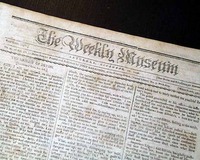 THE WEEKLY MUSEUM, New York, Jan. 2, 1796 Page 3 has various news items including reports from Portland, Boston, Augusta, Charleston and Newark. 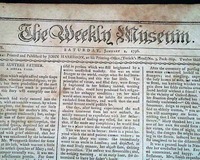 THE WEEKLY MUSEUM, New York, Nov. 21, 1795 Basically a literary-themed newspaper, but page 3 has reports from Philadelphia, New Haven, London, & Cork. 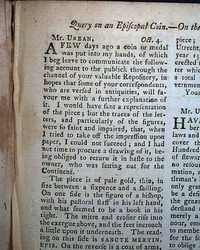 Four pages, 9 1/2 by 12 inches, scattered foxing, generally nice. 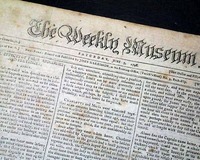 THE WEEKLY MUSEUM, New York, Sept. 19, 1795 Much literary content but page 3 has various news reports, one from Bordeaux noting: "The people of France in general think well of the new constitution, and it is thought it will be adopted." 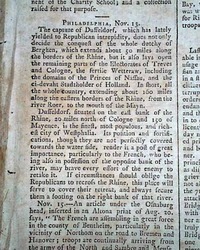 Other news from France as well. 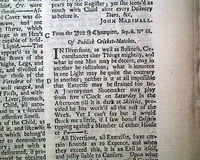 Four pages, 9 1/2 by 12 inches, bit of foxing, generally nice. 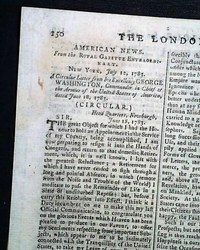 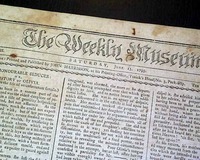 THE WEEKLY MUSEUM, New York, June 13, 1795 A small-size newspaper which is mostly literary but does have some news items. 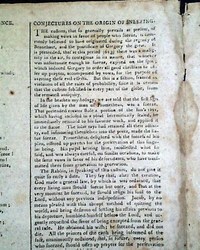 Page 3 has: "Horrid Murder" with the details (see). 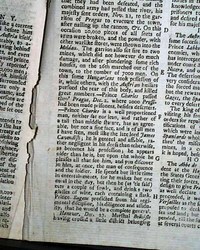 Four pages, light foxing, minor margin wear. 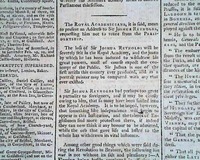 Page 2 has report on famous English painter Joshua Reynolds retiring from the Royal Academy. 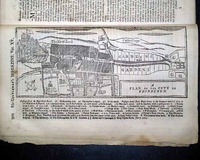 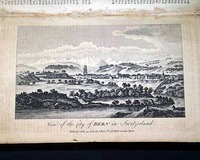 THE POLITICAL MAGAZINE, London, June, 1784 This rare title still has the two full page plates called for, captioned: "A View of the Lake of Geneva" and "View of the City of Bern, in Switzerland" (see photos). 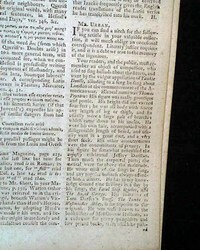 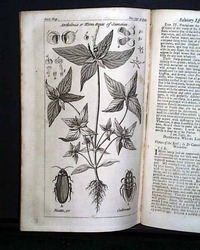 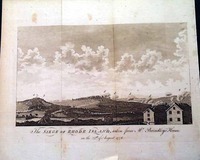 It is very rare to find scenic prints still remaining in 18th century magazines. 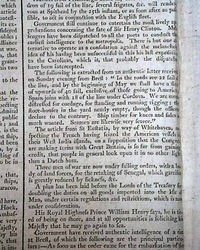 What has become of General Clinton? 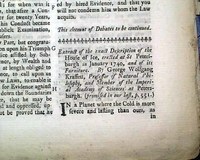 * Sir Henry Clinton whereabouts ? 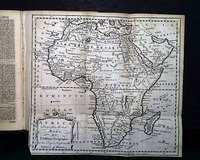 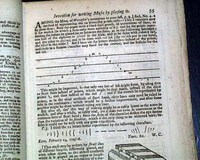 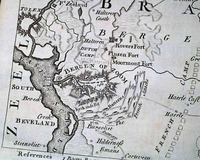 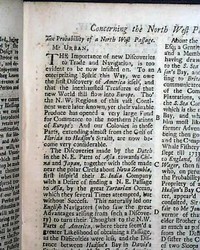 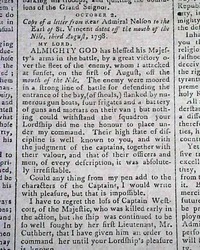 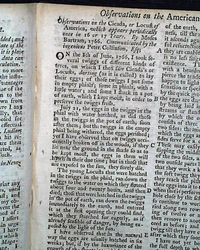 THE GENTLEMAN'S MAGAZINE, London, England, January, 1743 Two full pages are taken up with charts headed: "Ships Taken by the Spaniards from Jan. 20, 1742 to Jan. 20, 1743" (see photos for portions). 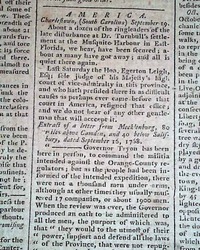 * "On the Shameful Management of the War, & the Reason of it." 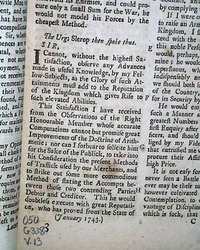 * "Method to Prevent Smuggling of Tea"